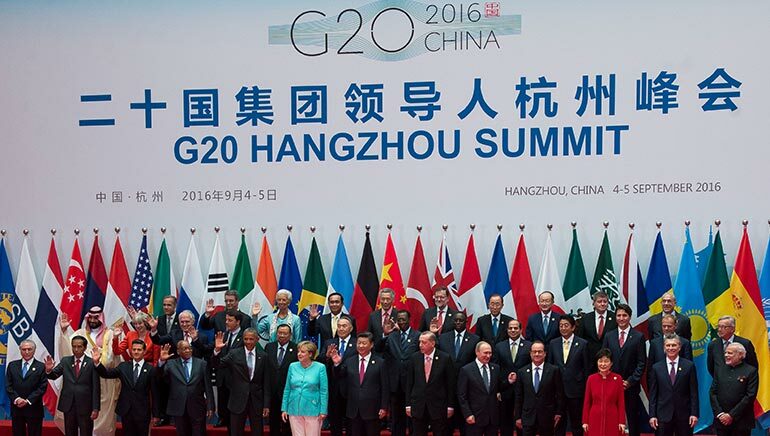 The 11th meeting of the G20 Group which accounts for the 85 percent of the world’s economy, 80 percent of global trade, and two-thirds of the world’s population was concluded in Hangzhou, China on 4–5 September, 2016. The Summit was aimed to bring profound measures for giving a new direction to the world economy and had the theme, “Building an Innovative, Invigorated, Interconnected and Inclusive World Economy”. The leaders discussed to bolster the steps which they have taken to address corruption, tax evasion and avoidance, and other challenges that undermine the integrity of the global financial system. They committed to make use of all policy tools – including fiscal policy – to achieve the common aim of strong, sustainable, balanced, and inclusive growth. Apart from economic reforms, discussion on terrorism, migrant crisis, and climate change also took place. The communiqué lauded the World Bank for its efforts in collaboration with other international organizations and its shareholders in creating a global crisis platform for providing support to refugees and host communities in both low and middle income countries. Along with the heads of 20 member states, the Summit was attended by presidents of Chad, Egypt, Kazakhstan, Laos, and Senegal, and the prime ministers of Singapore, Spain, and Thailand as well.